Loan Documentation: Just as important, or even more important than taking action on delinquent debt, is assuring that loan and other documentation is done correctly. The Group’s attorneys prepare security agreements, mortgages, financing statements and other documents designed to protect creditors’ interests. The Group also assists vendors and trade creditors in creating documentation that will be most beneficial in the event that collection activity needs to be pursued in the future. Loan Workouts: The Group’s attorneys work with lenders and others to maximize the recovery of delinquent accounts and troubled loans. The Group takes an aggressive and pragmatic approach to loan workout negotiations and litigation in an effort to maximize recoveries for the firm’s client. Bankruptcy: The Group represents lenders, manufacturers, trade creditors, lessors, insurance companies and other creditors in a wide range of bankruptcy litigation, including plan negotiation, stay relief, defense of preference actions and fraudulent transfer claims, and disputing the dischargeability of certain obligations. Collections: The Group represents clients in both retail and commercial collection. 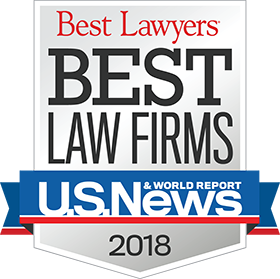 The Group is committed to providing aggressive yet cost-effective representation of the firm’s clients designed to maximize recovery and minimize costs. Mortgage Foreclosure, Eviction and Replevin: Included within the context of collection actions are mortgage foreclosures, deeds in lieu of foreclosure, consent foreclosures, short sales, evictions and replevin actions designed to regain recovery of real estate or personal property which may be in the debtor’s hands. The Group approaches all aspects of these actions with an eye toward maximizing recovery on an expedited basis and in an efficient manner.